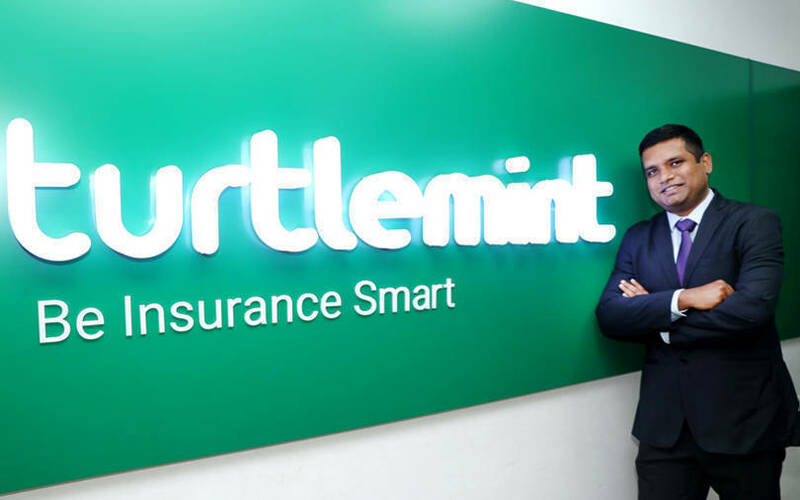 Last week, online insurance platform Turtlemint raised $25 million (Rs 178 crore then) in a round led by the Indian arm of global venture capital firm Sequoia Capital, signalling growing interest in the nascent fin-tech sub-sector. Already, some of the biggest fin-tech deals in 2018 have been sealed by insurance-tech companies PolicyBazaar and Digit. In fact, PolicyBazaar’s $200 million round accounted for the largest funding in the fin-tech space in the past year. Why has it taken two years to get to the latest funding round. Also, please elaborate on your plans to deploy the $25 million worth of funds raised. There are a couple of explanations to this. Our model is fairly capital-efficient and we did not have the need to hit the market during this period. Also, we focused on refining the product; in the process also prove its scale-ability. With the funds raised, we will expand our PoSP (point of sale person) network 10 times (from the current 25,000) in the next four to six quarters. The second area is in developing content and other tools to improve the skills of our PoSP partners, as most of them are just starting their careers. The third area is technology, where we will be investing quite heavily. Our proprietary mobile app Mintpro helps distribute and sell insurance products of multiple companies in a seamless manner. Can you elaborate on the PoSP model, which you claim to have pioneered? A PoSP is a type of insurance agent who can sell products of multiple insurance companies, more like a multi-brand and multi-product distributor. This is more a regulatory term, which came via the regulator in October 2015. The people who were selling smart ticket-sized policies in the market were brought into the system with this definition. This allows tech-savvy and enterprising people to help reach their local network faster and generate income efficiently. We can confidently say that we are unique and have sort of pioneered this way of doing business, which is all about empowering intermediaries. We have the largest PoSP network in the country. Could you give a snapshot of your current size and scale of operations? Also, please elaborate on your plans for product portfolio and diversification, if any. Our 25,000 PoSPs are currently present in 700-plus cities. We have served about two million customers so far and the current insurance premium run rate on our platform is worth Rs 100 crore. We have been focusing on the personal lines of business so far; motor, health and life insurance, which account for 90% of the market opportunity in the personal line market. Going forward, we will add travel insurance and more products over the next 12 months as part of our expansion plans. Was there less funding activity by volume in the insurance-tech sector in recent times? Of course, companies like PolicyBazaar, Coverfox, Acko and Digit did secure funding. The answer to your question would be that, while there was never a dearth of investor interest, technology-backed entrepreneurial activity in this space was perhaps less than in other sectors. This could be attributed more to the fact that entrepreneurial activity started later in this space. Insurance is a very large segment in the economy and presents a lot of opportunities for improvement of experience of the end-customer as well as partners, by leveraging technology. It is undoubtedly a great sector to be in and investors are also bullish. Over the years, with the way the sector has evolved, it has emerged very clearly that this is one space which is really driven by data and a lot of the services can be delivered online. Likewise, the space also offers a huge scope for value addition by helping create a good quality investment advisory, which eventually also translates into offering the best customer solution. Even the market is looking at this very favourably. However, there still is a long way to go and a lot of problems need to be addressed. What are those pain points that need to be addressed in this space? We can look at this at multiple levels. One would be the awareness factor, where there could be better efforts in helping more customers understand as to how owning a financial product in this category can actually make a difference in their lives. Likewise, in the area of decision-making while buying the insurance product, there are a lot of players currently on the market. However, the consumer engagement levels, more often than not, are very low when it comes to purchasing the product. This could be addressed by offering better financial literacy and the right advice and help the customer in making the right choice. From the operational aspect, I believe there is still a lot of scope for efficiency when it comes to reducing the paper-backed process and the time taken to issue the policy.